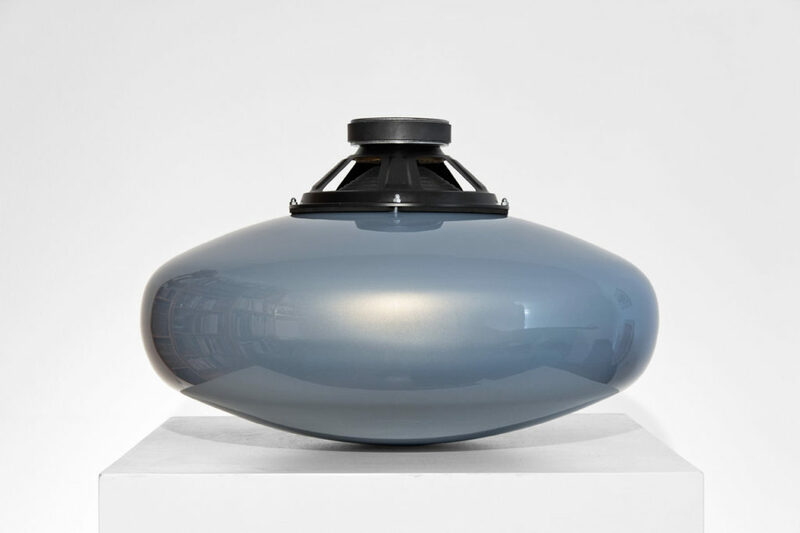 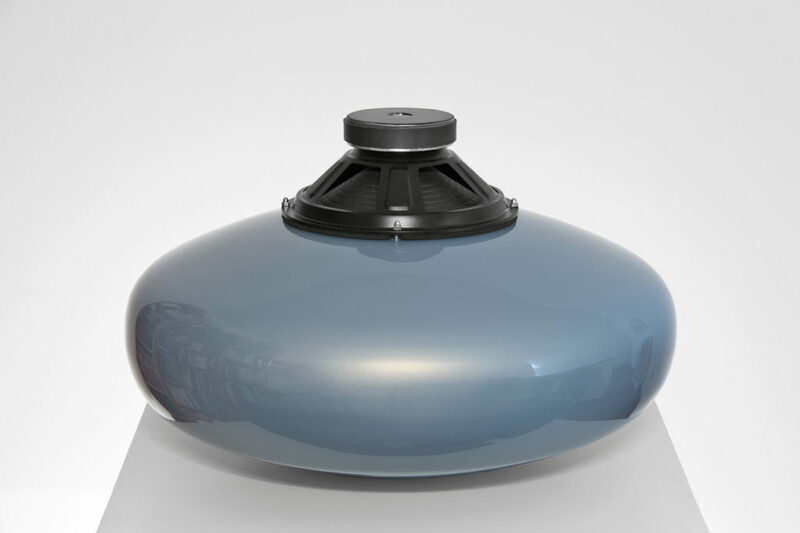 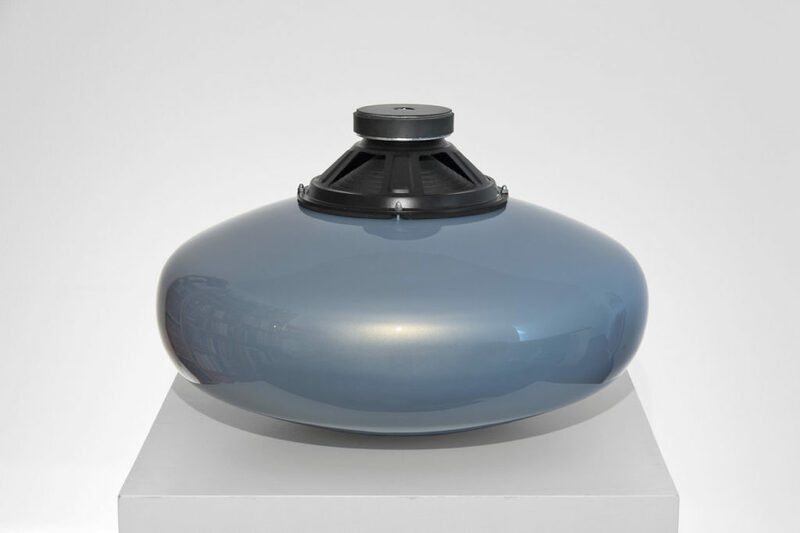 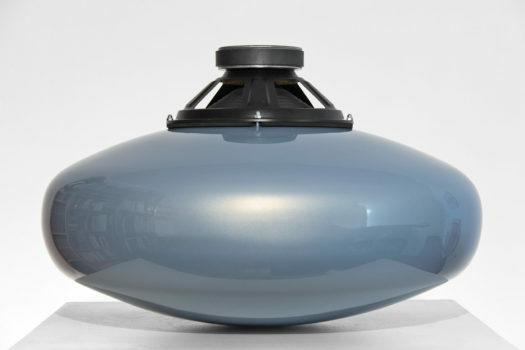 The sound sculpture APV (an acronym for Acoustic Pressure Vessel) is inspired by an industrial pressure vessel, a container containing gas and liquids at very high pressure, for oil refinement. The abstract shaped sculpture is made with semi elliptical steel dished heads, and closed by a loudspeaker; it becomes a small scale vessel in which the woofer creates an inner acoustic air pressure by playing frequencies of acoustic resonance of an enormous industrial vessel, obtained through the analysis of recordings made by the artist in the metallurgy workshops of O.C.S. 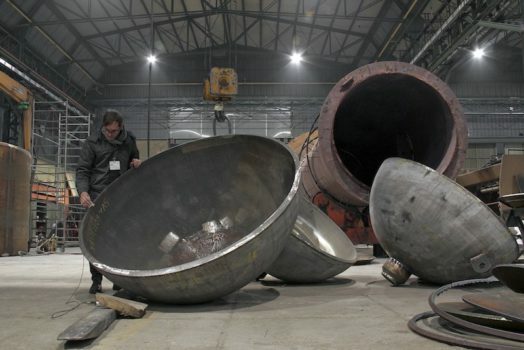 industry during a cultural cooperation program with Bevilacqua La Masa Foundation in 2016.